Berjuan, S.L. is a family businnes founded in 1977 in the town of Onil, kwon as the cradle of the dolls. For 35 years, the new generations continue the business policy initiated successfully, following the guidelines on to good craftsmanship. A great human team, new technologies and I+D continual investment. This is the key for your innovative products and top all over the world. Berjuan products are original, 100% made in Spain. They pass the exhaustive quality controls and safety investigations before the lauch of the product. Our company is certified by guarantee seals such as AIJU, AEFJ, FEDALMA, IMPIVA and EUROPEAN UNION. 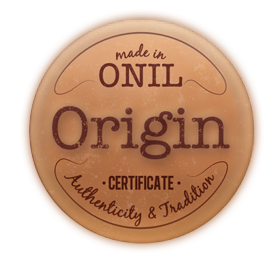 We have offices in Spain (Onil) and EE.UU. (Florida). Spain, EEUU, Portugal, France, UK, Chile, Mexico, Colombia, Venezuela, Eastern Markets, Russia, and Africa. – Creating new trends in our sector. – Constant update in our Dolls design. – Finding alternative market channels in order to break into the market and increase sales. People always respond to the launch of our innovative proposals, creating a great media impact. Thanks to our work in communication, we get a great social impact on our networks and the press follows our news. For this reason we are proud of the awards granted to us and especially for recognition of sector professionals, who appreciate our work very positively. 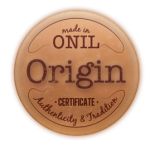 Manufacturers of Onil awarded made in Onil ORIGIN to BERJUAN S.L., that calls for tradition, authenticity and exclusivity of the dolls made in Onil, cradle of dolls from the 19th century. Tradition and authenticity values of Berjuan best defines what highlights the distinction: dolls 100% made in Spain. We appreciate this distinction working to preserve and enhance these values so Onil remains the cradle of dolls today and forever.